With some simple tool care techniques, you can prevent and cure rust on your boat building and maintenance tools. Carrying the right tools in a toolbox on your boat is as much about safety as it is for convenience. The tools that are used regularly are the ones least likely to rust. It is the ones which are tucked away at the bottom of the tool box and only used occasionally are the ones most at risk. It is always better to prevent rust than have to deal with it later or find that the tool is unusable. Tool care begins with protection. However, how you protect them will depend on humidity levels they are exposed to. Those kept on board will require greater protection than tools kept in a dry workshop. Wherever you keep them they need some sort of surface barrier to keep off the moisture. There are several way of doing this from oils to waxes and products such as ‘T9 Boeshield’. You can buy these anti rust products in either spray of liquid form, the liquid is less wasteful when it comes to application. Keeping hand tools in a tool roll will keep them apart and prevent chipping. And if you give the roll a soak in kerosene first, then allow it to dry this will help to protect the tools. The best tool care is to apply a thin coating of protective oil, wax or other protective product before putting the too away. It is also good practice to wrap you tools in an oil-impregnated cloth, which will also hep prevent them banging together and chipping. Vapour corrosion inhibitors, VCI is ideal for protection hand tools, which are stored in tool boxes. There are several products available, as well as good old fashioned camphor and camellia oil. 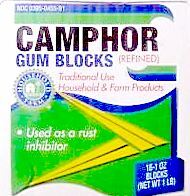 Small blocks of solid camphor left in the tool box will give off fumes that form a rust inhibiting coating on the tools. And camellia oil can be purchased in spray bottles or easy applicators. While some specialist rust-preventing products purport to protect power tool these are best stored ashore in dry conditions. While no substitute for proper tool care, storing your tools with small packages of silica gel will help lower the moisture level, thus significantly reducing the chances of rust forming on them. Silica gel absorbs moisture and can be reused over and over. It can be rejuvenated by drying in an oven or even over a light bulb for a couple of minutes. The normal non-indicating variety is clear and consists almost entirely of silicon dioxide. The indicating varieties change colour to indicate when they are saturated and need drying. The most common color combination is blue, which turns clear and then pink as it absorbs moisture. Silica gel can be bought by the pound or as gel packets. And often comes free with electrical and photographic goods, don’t throw those little packets away, toss them into your tool box. The Packs, wrapped in a porous material, are the most effective way to use the ‘gel’. The added benefit is that the packs can also be used to pad out your tools, helping to prevent then knocking together. For the gel to be most effective, keep the silica gel packs and the tools together in sealable plastic containers. If you do see any rust appearing on your tools remove it as soon as possible with some fine wet/dry sandpaper or emery or use an abrasive block. The abrasive can be used dry but it is better to use a lubricant such as kerosene, machine oil, camellia oil or mineral spirits but preferably not WD40. The metal surface will now be ‘raw’ and will rust quickly so, treat it straight away with your preferred anti rust treatment. Some anti rust tool care products ten to leave the surface slightly sticky this can be overcome by buffing the surface and treating with a wax. There are some conditions under which camphor fumes can be harmful. So, read the instructions that come with the camphor. The’ indicating’ silica gel may contain harmful additives and fungicides. So, don't be tempted to eat silica gel, and keep it away from children and pets. Silica gel dust can be an irritant, so use a mask.